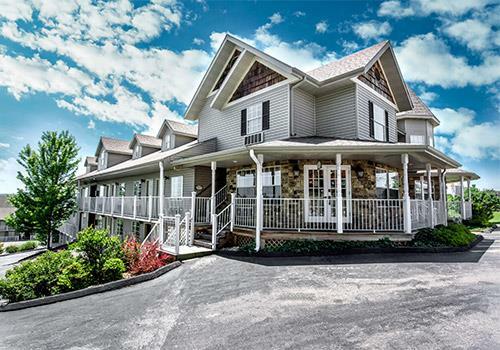 Conveniently located right on the famous 76 Country Boulevard, the Gazebo Inn intertwines comfort and value for a pleasant stay in Branson, MO. Guests are treated to a complimentary continental breakfast, an outdoor pool, and an array of in-room amenities including pet-friendly accommodations, free Internet access, coffeemakers, and a 32-inch television. Pet-friendly accommodations available upon request for an additional fee. Mini-fridges, free WiFi, and coffeemakers offered in-room. Enjoy a complimentary continental breakfast each morning. Splash around in the seasonal outdoor pool. Conveniently located by top Branson attractions. Make our home your home while enjoying the many sights and sounds that Branson, Missouri is known for. 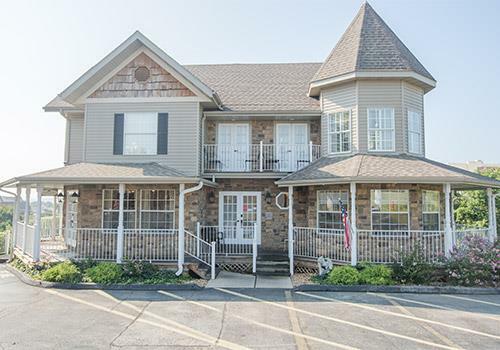 Centrally located on 76 Country Boulevard, also known as the famous “76 Strip,” you’ll be within walking distance to a number of the most in-demand shows, shopping, restaurants, and attractions. These include The Andy Williams Moon River Theater, King's Castle Theater, The Tracks amusement venue, Ride The Ducks attraction, along with the Tanger Outlet Mall and The Grand Village for your shopping convenience. We are also within walking distance to Wal Mart and Price Chopper grocery store along with eateries such as Shorty Smalls, Dennys, Krispy Kreme Donuts, and McDonald's. 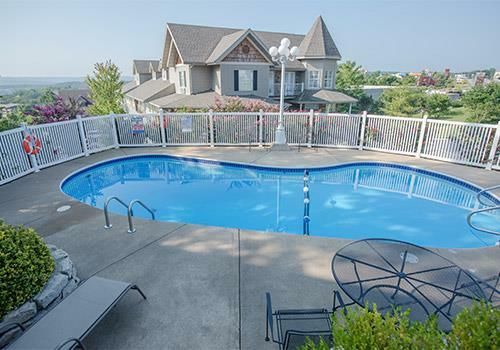 We offer you the great value and great comfort that you should expect in Branson. The Gazebo Inn provides each and every guest the service and hospitality that you expect at luxury hotels without the cost, leaving you more time and money to enjoy what you came to Branson for in the first place. Depending on your needs, you can choose from our standard double queen room, giving you ample space for your family to be comfortable or our standard king room comes complete with full sized sofa and desk. For your convenience, a mini fridge is located in each room. All rooms are non-smoking with free wireless high-speed internet service throughout. Each morning, we invite you to join us for our complimentary continental breakfast before heading out for the day. Maid service is provided daily to welcome your return and assure your comfort. Pet Policy: Max 2 pets per room, max 25 lbs, $10 per night. No. All accommodations are non-smoking. Yes. 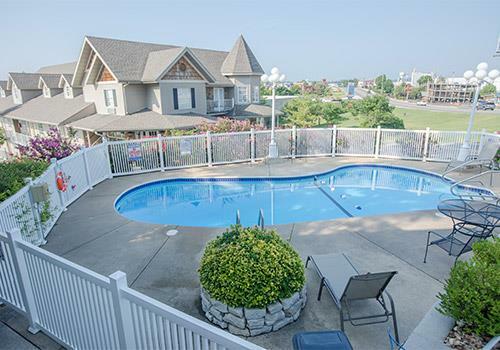 Guests may bring a maximum of 2 pets, not exceeding 25 pounds for an additional $15 per night. Yes. Rollaway beds are offered for an additional $10 per night. Does my room include a microwave? No, however, a microwave can be requested for $5 per night. Does my room include a mini-fridge? What are the hours of operation for the outdoor pool? The pool is open seasonally from 9:00 am to 11:00 pm.